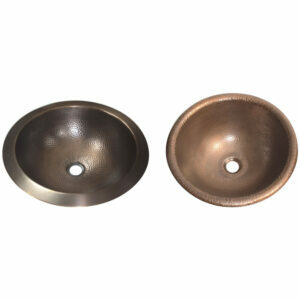 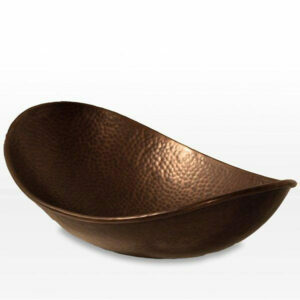 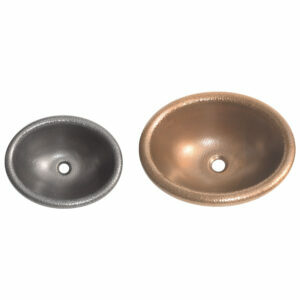 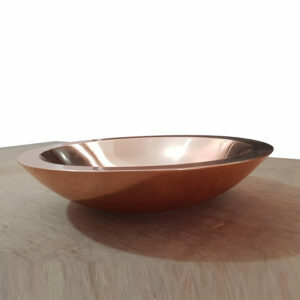 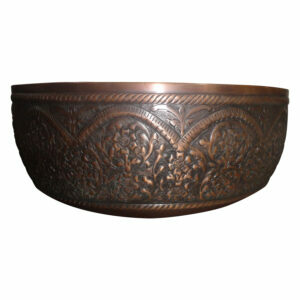 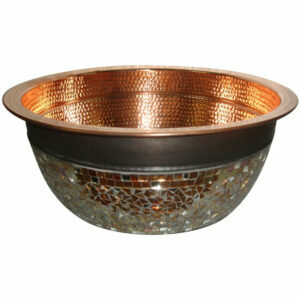 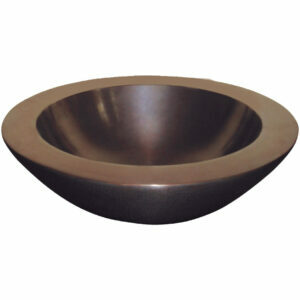 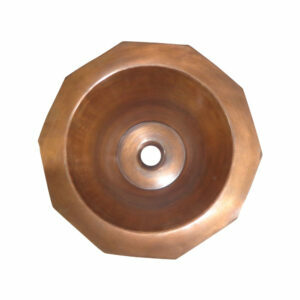 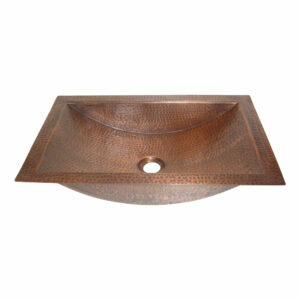 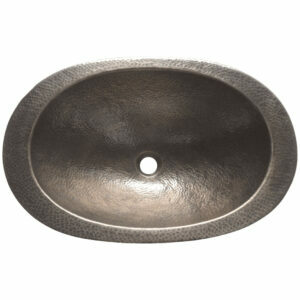 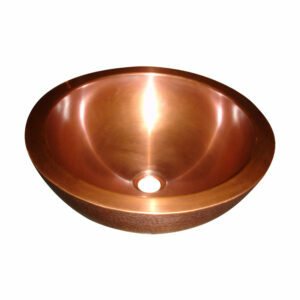 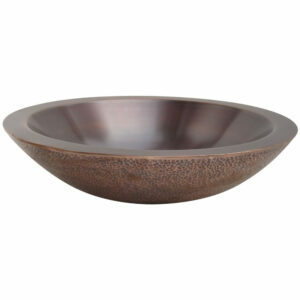 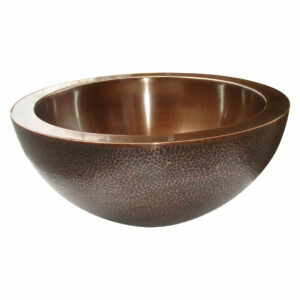 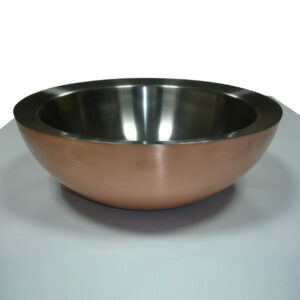 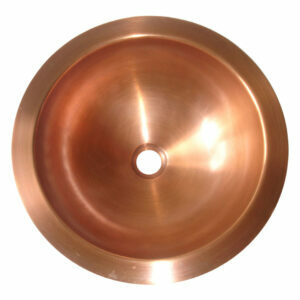 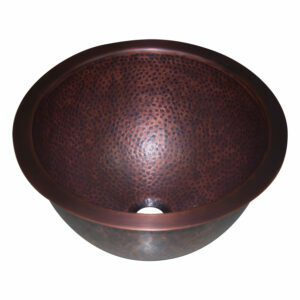 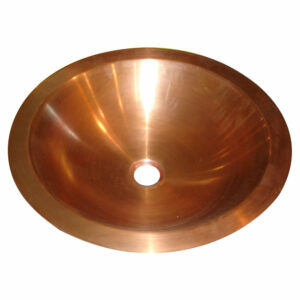 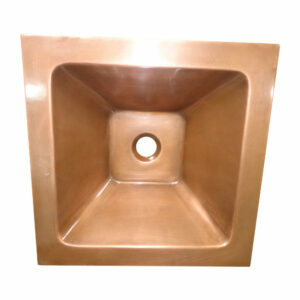 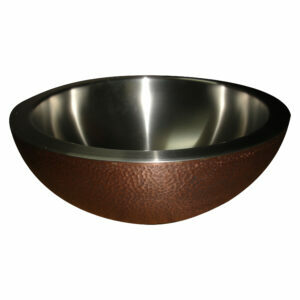 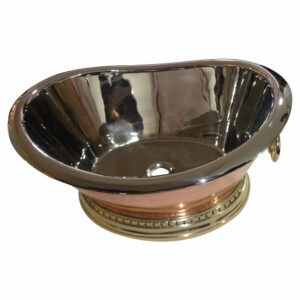 Round Copper Sink Polished 18 x 5 is a strikingly beautiful copper sink with a smooth polished surface. 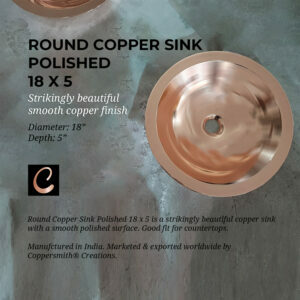 Good fit for countertops. 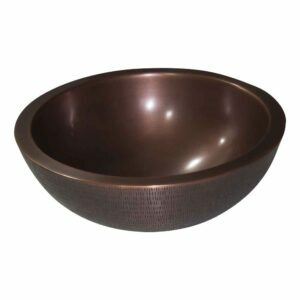 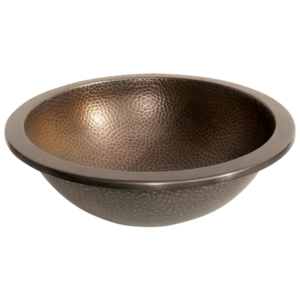 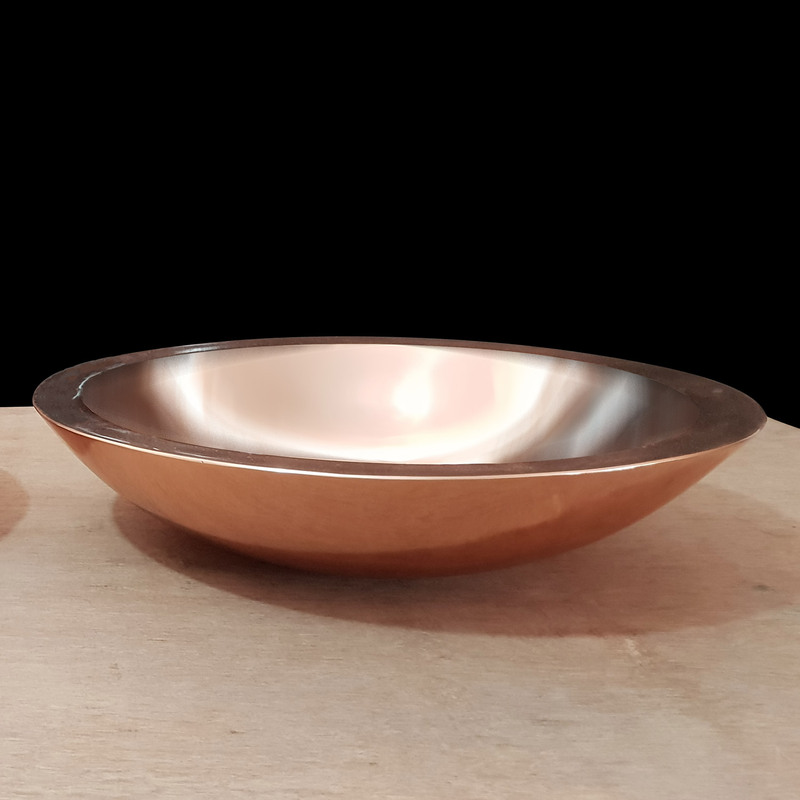 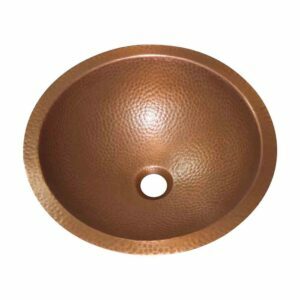 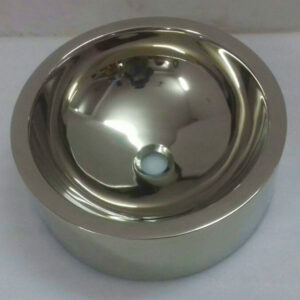 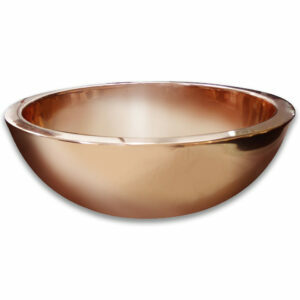 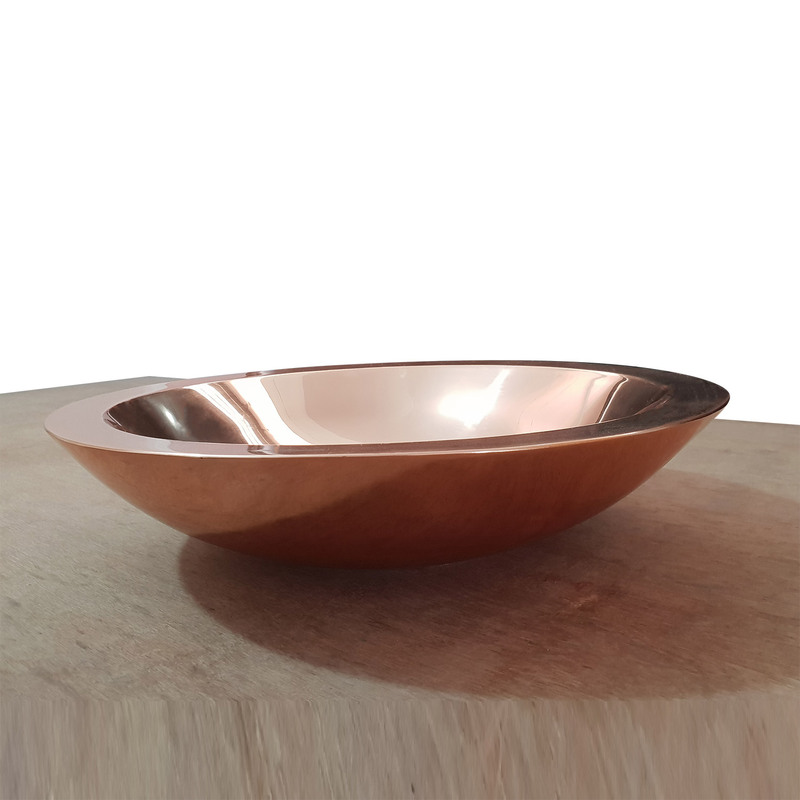 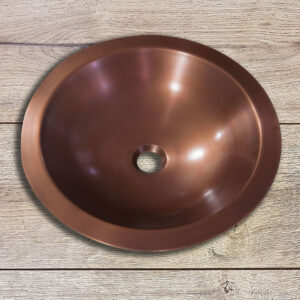 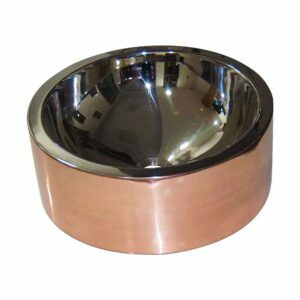 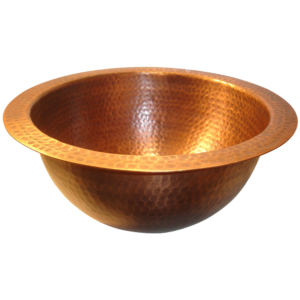 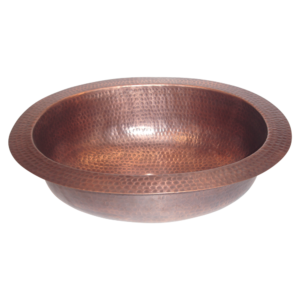 Round Copper Sink Polished 18 x 5 is a strikingly beautiful copper sink with a smooth polished surface 18″ in diameter & 5″ depth. Suitable for countertops and vanities. 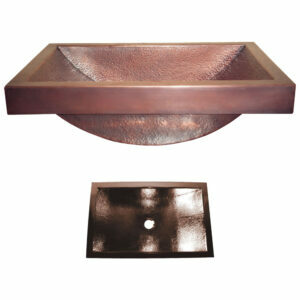 Copper sinks give an attractive aesthetic feel. 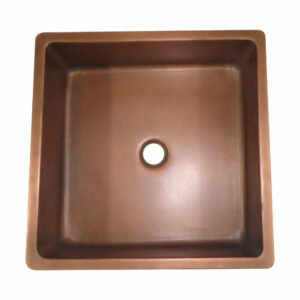 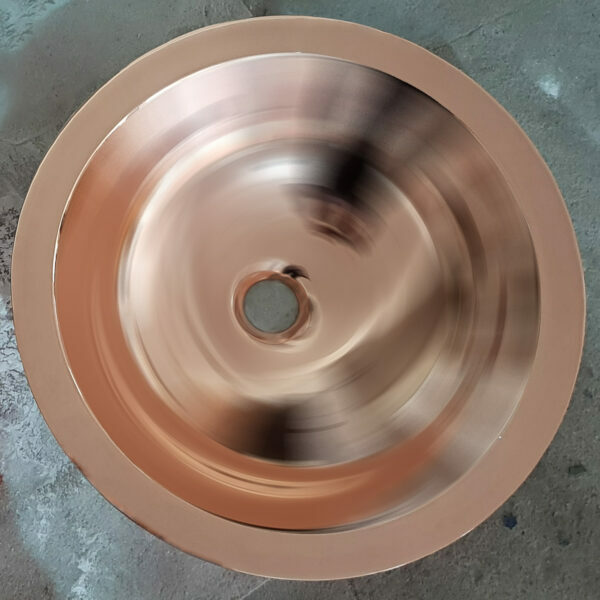 While being aesthetically pleasing, a copper sink also maintains good durability, being naturally resistant to scratches and other chippings that may occur. 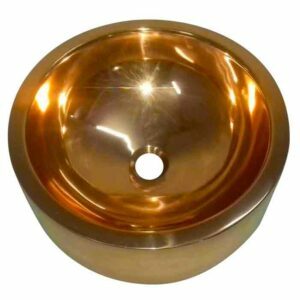 Also, for those who do not enjoy cleaning or maintenance, maintaining a copper sink is very simple and does not require the need for harsh cleaning chemicals whatsoever. 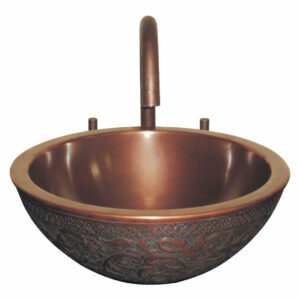 Aside from the aesthetic aspect & antibacterial properties, copper also has vastu correction benefits for homeowners. 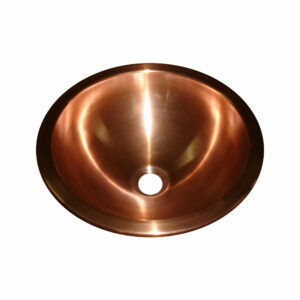 Copper is a natural antibacterial product that requires minimal care. 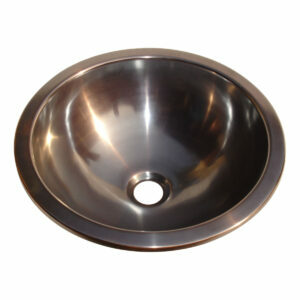 For regular maintenance, simply rinse the sink after each use. 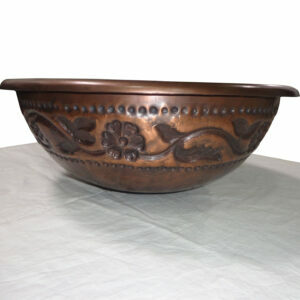 Otherwise, wash occasionally with dish soap and a sponge for a more thorough cleaning. 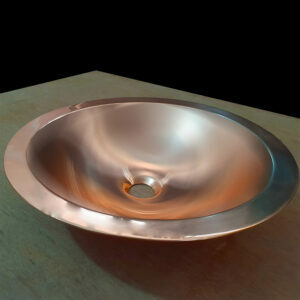 The sinks we supply are waxed by hand. 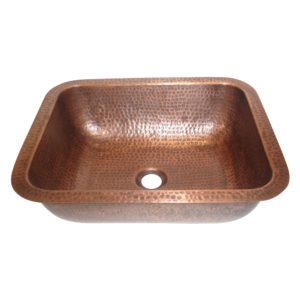 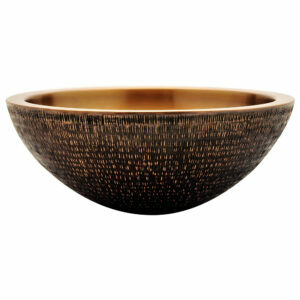 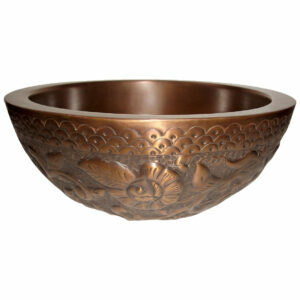 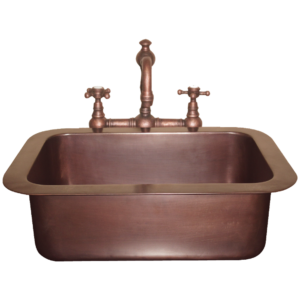 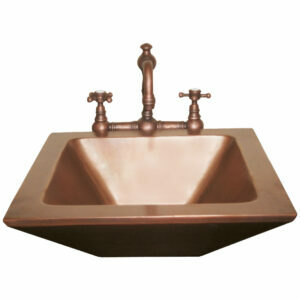 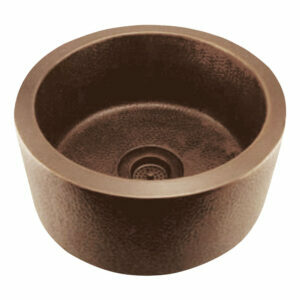 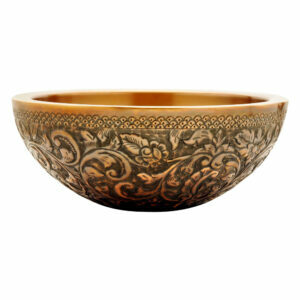 Copper sinks have a living finish, which evolves over time, which can be prevented by the use of wax.